Special thanks to our sponsors and contributors! We remain successful and growing because of their support. Many have been with us from the very beginning. We thank them and encourage everyone to purchase their products or visit their businesses. Want to be apart of Northern Colorado’s best races? Please download our sponsorship form to see how your support can help our event, and align with inspiring, healthy, family fun! Poppy’s Pizza and grill in downtown Estes Park are kindly supplying pizzas for the post race party for our hungry runners. They are renowned for their excellent quality, and also their friendly service. Check them out while you’re in town on Bond Plaza on Elkhorn Avenue! The Stanley Hotel, known for its architecture, magnificent setting, and famous visitors, may possibly be best known today for its inspirational role in the Stephen King’s novel, “The Shining.” This Colorado hotel has been featured as one of America’s most haunted hotels and with the numerous stories from visitors and staff, The Stanley Hotel continues to “shine” today, as it did in 1909 when first opened. The Egg & I have been a firm favorite with Estes Park visitors and residents alike – we are grateful to them for providing a large number of breakfast burritos from their kitchen – runners love them , especially marathoners! 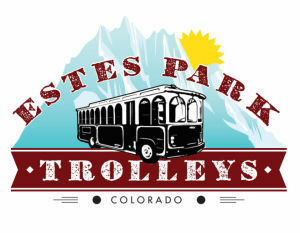 They are situated in downtown Estes adjacent to the 34/36 junction. It’s our favorite place for breakfast! See more details at the Egg & I website. 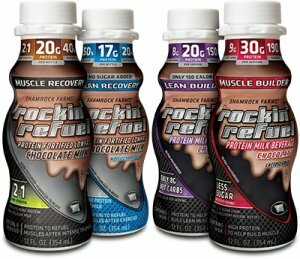 Through the Milk industry’s sponsorship of USA Swimming, Rockin’ Refuel Protein Milk Beverage developed updated packaging for its Muscle Builder and Muscle Recovery protein fortified chocolate milk lines. The packaging features chocolate milk’s designation as “The Official Recovery Beverage of USA Swimming”.